I love a good Romance that gets me rereading those steamy love scenes, and this story delivered. I’m also a nerd, so the fantasy realms, sword fights, magic and mayhem, didn’t disappoint either. This story, whose characters are believable with the added exciting fight sequences , I found myself on the edge of my seat, taken on a thrill ride to another world. 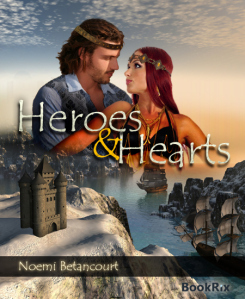 Hero & Hearts is an easy quick read that’s sure to please any Romance Fantasy lover. I certainly enjoyed this story. I’m glad everyone likes it – I knew it would do well the first time I read it. I also think the names are really unique. That’s the great thing about being a writer, you get to choose names, appearances and personalities of all your characters. Good luck with the rest of the tour Noemi! Glynis – I really enjoyed your Review, I hope you’ll be doing a lot more of them. She’s a wonderful writer, with a great imagination, simply love this book! We’ll see if time permits, as you know, I’m writing as well. I think that’s a really cool name – it’s so unique. Being named Amanda is so boring – I also really like the names in the book, especially “Alaric” – great name choices Noemi. I think her name is cool too. Imagative name choices within a wonderful story is makes for a great read…..And Amanda is a wonderful name….In fact, I’ve used your name in a story I’m writng. I’m glad so many people like it! It’s a wonderful story! Thanks for the awesome review, Glynis! I’m glad to know people are enjoying my work:) Book two is called Descendants of Quendaris and will be released on May 3. There’s a preview of it in the back of Heroes and Hearts. I’ve also just started working on Book 3 (which is previewed at the end of Descendants) but I may not finish that until the end of the year. What a great book. The reviews aren’t lying, I enjoyed it from start to finish. 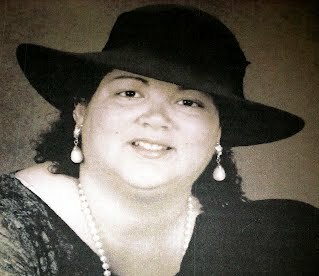 The writer (Noemi.. how do your pronounce that? Like Naomi?) has a good grasp of the fantasy language and also seems to understand how to effectively write Romance. Thanks for sharing this new writer! It seems she certainly do, steamy …. thanks Amanda! Good reads and cheap what more could you ask for?